(P1) You can now fly on one of India’s largest airlines without fear you’ll get stuck in front of a screaming baby or a kid who likes to kick seats. IndiGo is the latest airline to offer “Quiet Zones” on each of its flights, with two sections of four rows each set aside for passengers 12 and older only. The airline says no young children will be seated in the surrounding rows or seats with extra leg room, either though “there’s no guarantee you won’t be seated next to an adult chatterbox,” per Good Morning America. IndiGo isn’t the first to offer such an option: AirAsia, Malaysian Airlines, and Singapore’s Scoot also have kid-free sections. Briefly, summarize the content of the article in your own words. In your opinion, do you think kid-free zones are discriminatory? Why or why not? 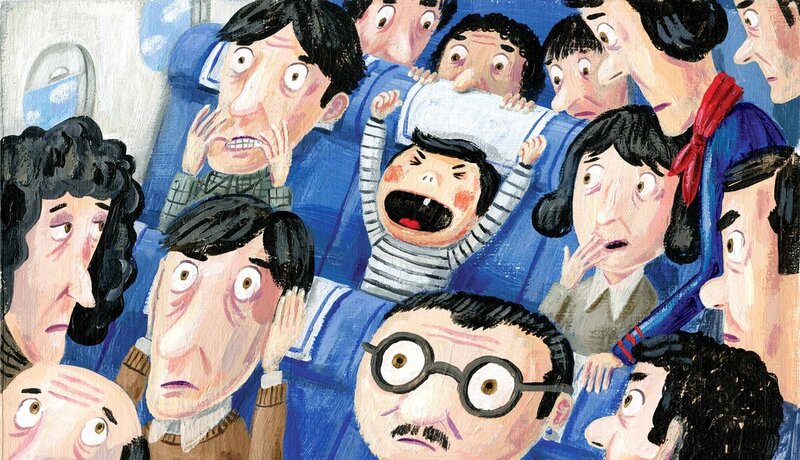 Have you ever had an experience with a disruptive child on a plane? If yes, explain what happened. Do you think drunk and smelly passengers should be banned from flights? Why or why not? What is IndiGo’s age requirement to sit in the “quiet zone”? According to a columnist, who else should not be allowed on flights? ARE BILLIONAIRES PLANNING TO LEAVE THE PLANET?